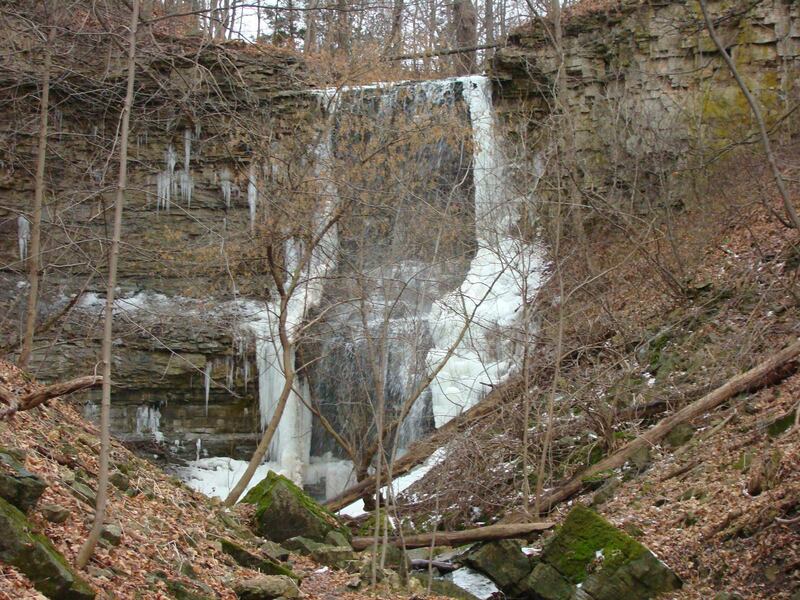 Upper Sydenham Falls is the largest of the three waterfalls on the Sydenham Creek with a height of 13.6 metres (45 feet) and a crest width of 5.5 metres (18 feet). It is a Complex Ribbon Falls that experiences the strongest flow during seasonal storms and after the snow melt. 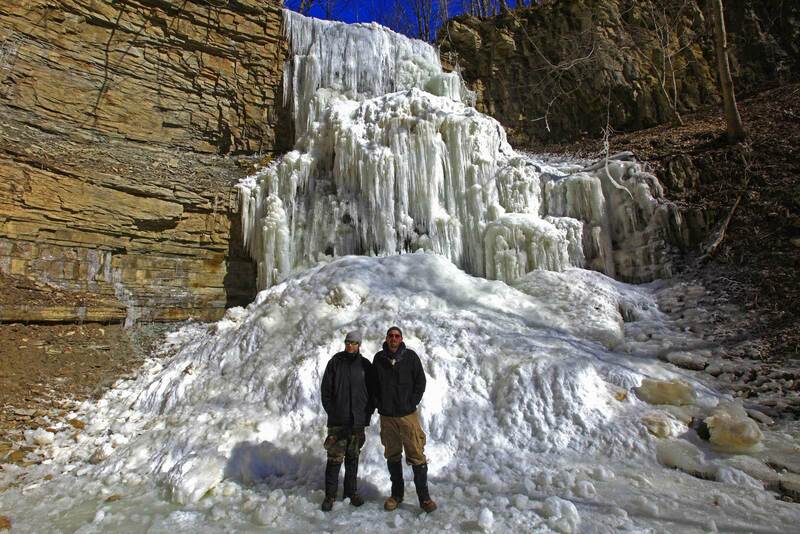 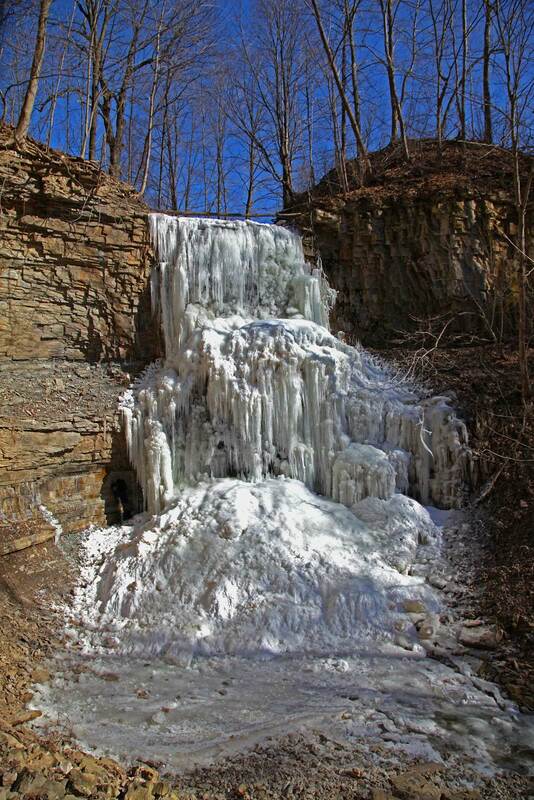 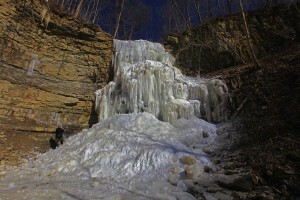 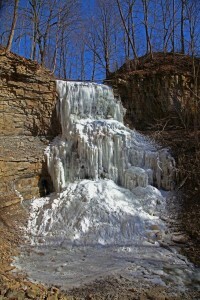 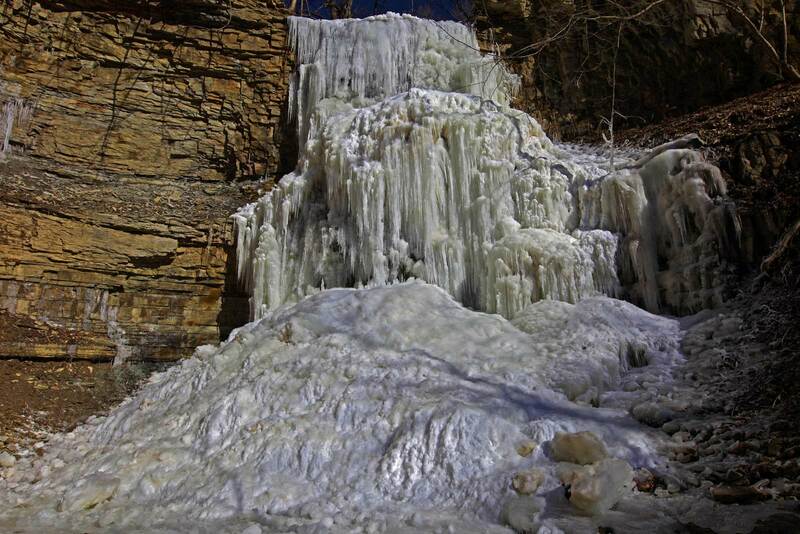 This waterfall can freeze over completely from top to bottom in winter giving a completely different appearance. 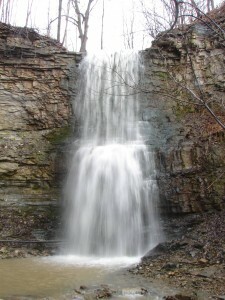 Upper Sydenham Falls is located on private property. 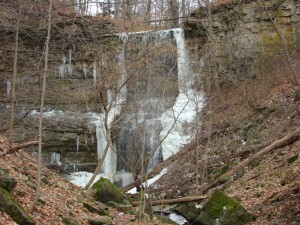 However, when a person climbs the steps on the Bruce Trail beside Middle Sydenham Falls, the Bruce Trail turns to the left and on the right side is the sign indicating “Private Property, No Trespassing”. 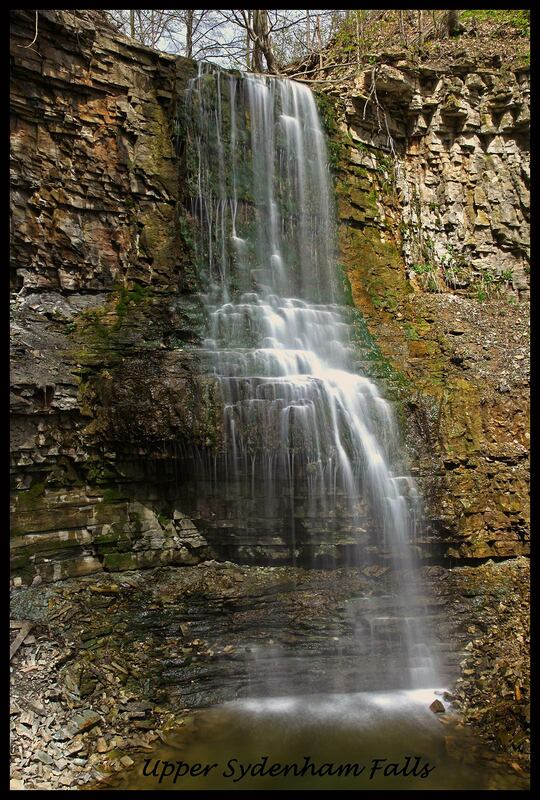 The strange fact is that the trail on the right onto private property (and to Upper Sydenham Falls) is worn more than the Bruce Trail to the left. Upper Sydenham Falls is at the end of this private property trail, about 200 metres away.